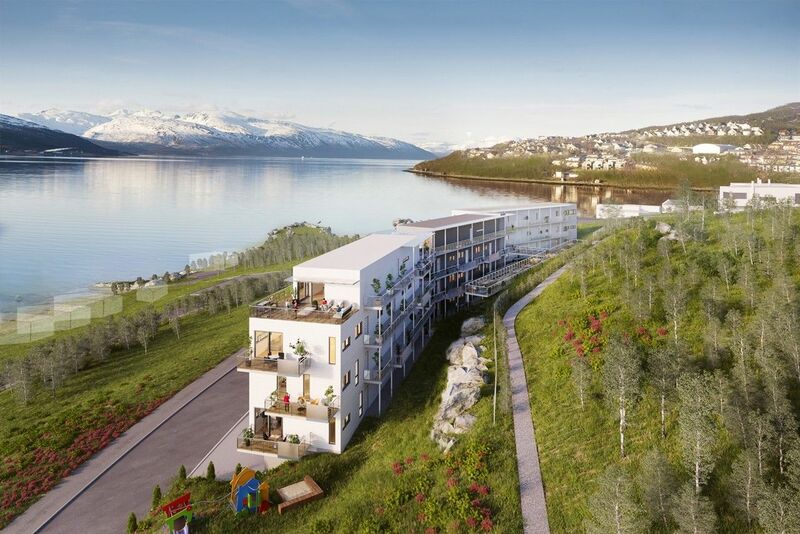 The new housing project of Solneset is being built with a greater distance between residential areas than elsewhere in Tromsø. Here you have beautiful views of the sea, the sound and the mountains on Kvaløya. Peikko's DELTABEAM® enabled open and flexible spaces for the project, together with a slim floor structure.